Vintage Denim has never been out of style or out of fashion, however this year sees a resurgence of the trend for both men and women, and with it, a healthy appreciation of vintage jeanswear. For those that see it more as a practical fabric than a fashion statement, denim still has a lot of respect. It’s the fabric of choice for its durability and longevity. It’s what we wear to work if we can, and what we wear to relax in at every available moment. For fashion lovers, it is the all-rounder that caters to dressing up affairs and dressed down afternoons. 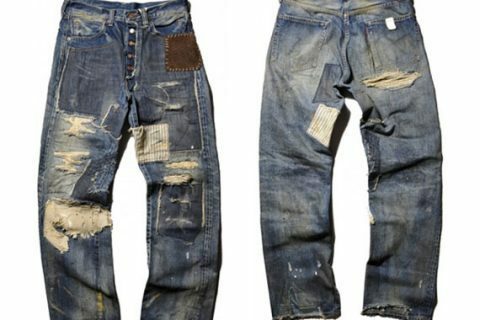 Vintage Mens denim has always been popular, especially for those well-loved brands such as Wrangler, Lee and Levi’s. Don’t forget we also have a range of branded, western , bomber and railroad style vintage jackets in blue, black and other colours. There’s boot cut and flared styles and If you’re looking for vintage garments in a wide range of different styles, then Blue17 is your destination. A hive of activity, Blue17’s stock from different eras caters to a variety of different tastes, and its stock changes daily. There’s something for everyone, and for men, the jeans are skinny, or wide, straight or baggy. Come and choose yourself a classic vintage denim item and be ahead of the rest.